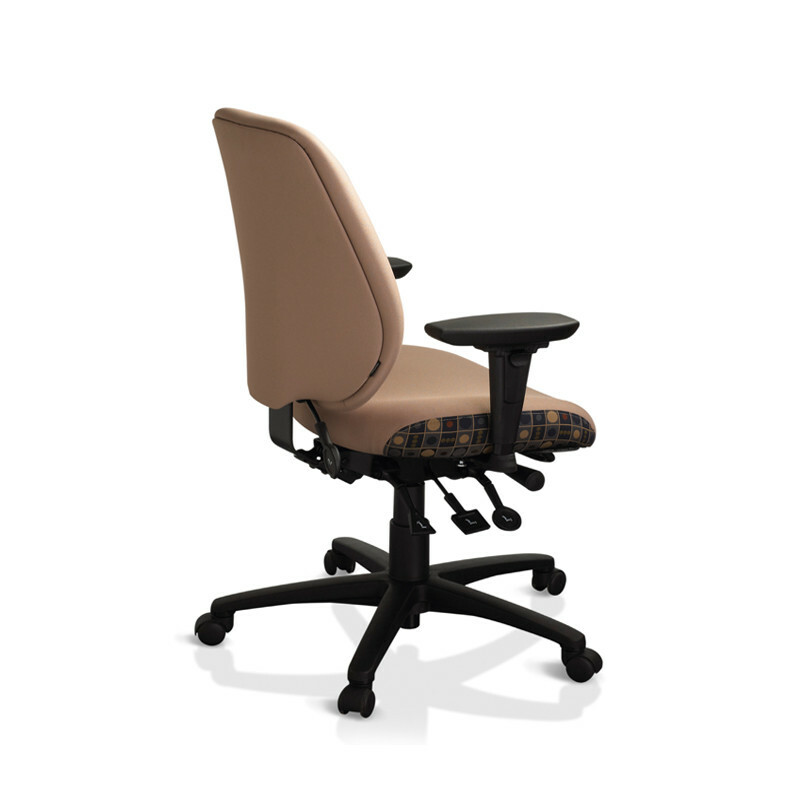 The Ergocentric geoCentric Tall Back chair is the ultimate in affordable comfort and adjustability. 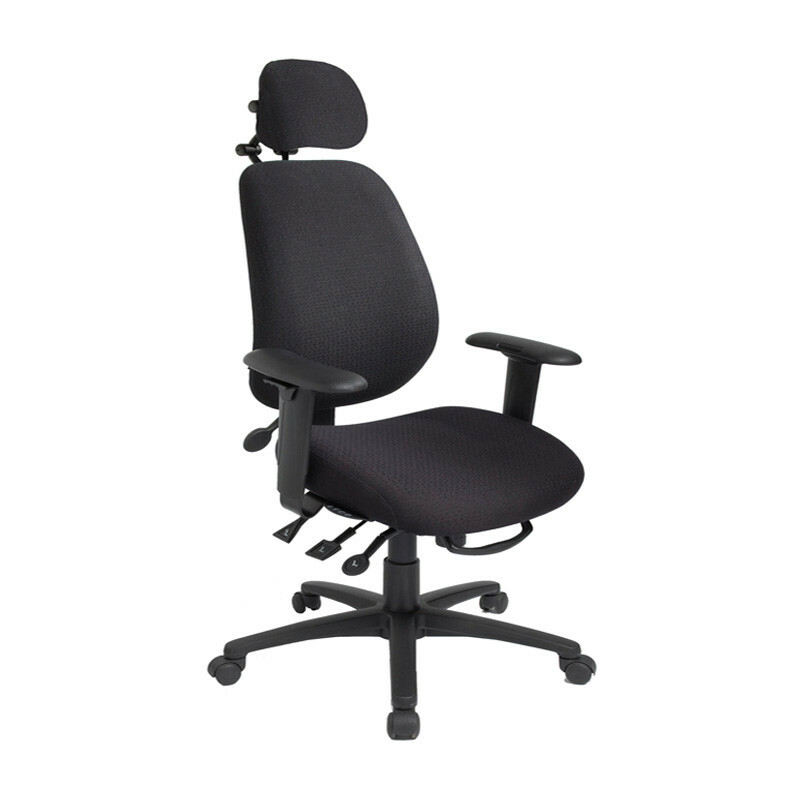 This tall back chair includes 9 standard adjustaments (including Swivel Arm features) to adjust specifically to your comfort and support needs. 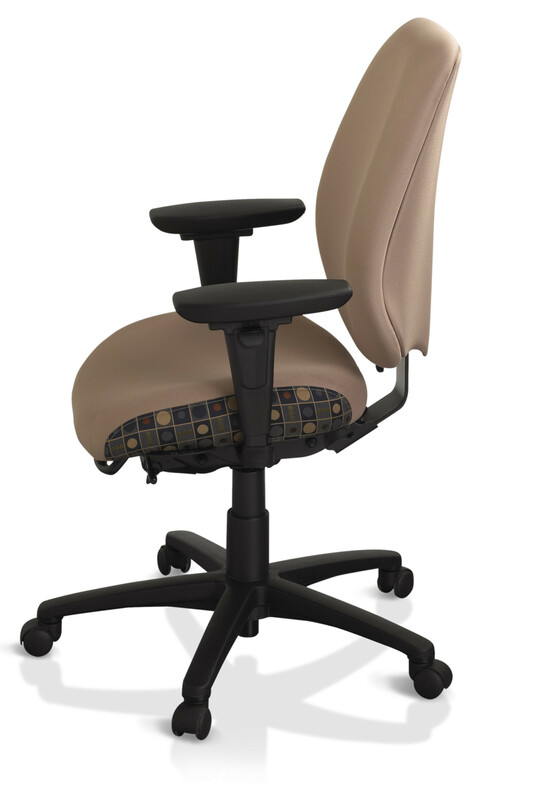 Standard seat pan slider allows this chair to fit people 5' 2" to 6' 0" tall while their petite seat, extra long seat and plus size seat pan can conform this chair to fit a large variety of sizes and statures. The patented back height adjustment allows for proper positioning of the lumbar support and can be locked in place to insure correct back support all day. 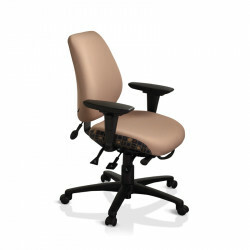 10 year warranty on all chair components and lifetime warranty on chair pneumatic. The geoCentric chair ships fully assembled within 10 business days.